Like the rest of Fitler Square, we were disappointed to hear that increased rent will cause Dmitri's to forgo renewing its lease when the corner building at 23rd & Pine is sold. That seems to be a trend in Philly lately, with perfectly good - if not great - restaurants and locally-based retailers shutting down because of rent inflation. Dmitri's food never knocked our socks off, but the restaurant is a beloved mainstay around here. It is always busy and even draws in regulars from the suburbs. A friend of ours has a love affair with their grilled octopus. The location has a liquor license, sidewalk seating across from a park and an engaged and culturally-diverse neighborhood to its advantage, so we sure hope to see another non-commercial, fun and casual restaurant take its place. 1. Koo Zee Doo. We have not been shy about claiming Koo Zee Doo to be one of our all-time favorite restaurants in Philadelphia. But it fell victim to rent hikes in Northern Liberties and slow weeknights, closing last June to widespread outcry from fans all over the area. The owners said they'd be back and we think Fitler Square is the perfect spot for a Koo Zee Doo resurgence. The neighborhood could use something unconventional like Portuguese food. Only question will be... is the rent still too high? 2. Manakeesh. Along the same lines, Lebanese fusion could be a nice "something different" for Fitler Square. Manakeesh Cafe at 45th & Walnut is a huge hit for its flatbread sandwiches, platters and baked goods (we are obsessed with the baklava). We'd love to see them create a sit-down dinner menu, while also opening for breakfast and lunch, reminiscent of the original cafe style. 3. Chimu. On a recent trip to Brooklyn, we were tipped off to try Peruvian restaurant Chimu. Holy cow was it good. Skirt steak, chimichurri, ceviche... Is there any Peruvian food in Philly? If so, please advise on where we can get this. 4. Girl and The Fig. Another transplant idea. If you've ever been to Sonoma, CA, and didn't try the fresh, locally-sourced French cooking at Girl and The Fig, you missed out. Best meal we had in wine country. Not to mention that its owner/chef was raised and launched her career in Philadelphia. Come back, Sondra Bernstein! Your East Coast outpost awaits! 5. Gayle: The Revival. Daniel Stern's byob off South Street was the first restaurant we tried after moving to Philadelphia that really made an impact. (blog post from 2009, yikes!) The creative twists he put on dishes like pork & beans, shepherd's pie and "breakfast" blew our minds at the time, and the fact that a chef came out to talk to us was mind blowing. A true turning point in our experience with food. We don't doubt he could do that again. 6. Bring back Pat! Friends had mixed experiences at 943 during its run on 9th Street in the Italian Market. Maybe it was the wrong spot? Struggled like other BYOBs to bring in enough revenue? We really liked the Argentinian/Italian blend at 943 and would love to see Chef Pascual Cancelliere (such a nice dude) give it another shot with a liquor license and new audience. 7. Zeppoli. One of the supposed best restaurants in "Philadelphia" is actually in Collingswood, NJ. We have been saying for three years that we'd go, but still haven't done it. So on behalf of everyone who can't mentally cross a bridge for dinner, we'd love to see Zeppoli expand its genius Italian cooking west of the Delaware River. 8. El Bulli. I mean, why not. 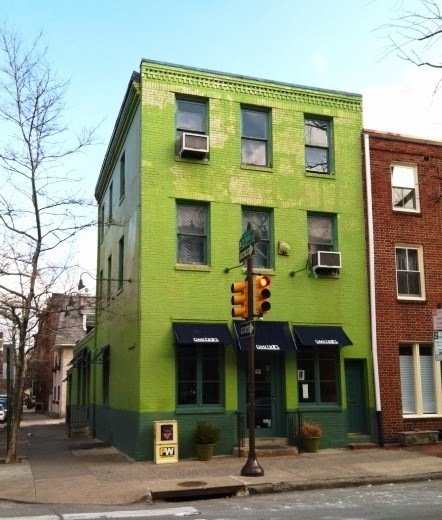 Best restaurant in the world is now closed, so let's see it re-open in Philadelphia! A foodie can dream. What we don't need: Brunch joint like Honey's or $27 entree bistro a la Fitler Dining Room. We're not criticizing either popular spot, just don't need another one so close. Keep in mind that L2 at the corner of 22nd & South is apparently closed and that's twice the size of Dmitri's, so hopefully we'll get two great new places.